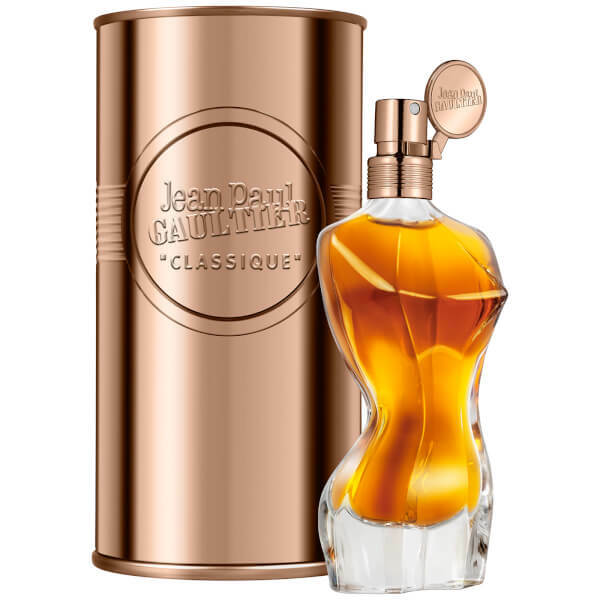 Discover the Jean Paul Gaultier Classique Essence Eau de Parfum; a feminine, white floral fragrance expertly created by renowned perfumer, Daphne Bugey. Opening with fresh Ginger, the sophisticated perfume develops into floral Orange Blossom and Jasmine Sambac notes before succumbing to a seductive base of rich woods, Vanilla and Chantilly Cream. A reinterpretation of the original, the EDP arrives in a multifaceted bottle in the shape of a female torso. Heart Notes: Orange Blossom, Jasmine Sambac. Base Notes: Vanilla, Chantilly Cream.